Sacramento has hot summer temperatures and moderate winter temperatures, while most of Northern California has temperate weather. 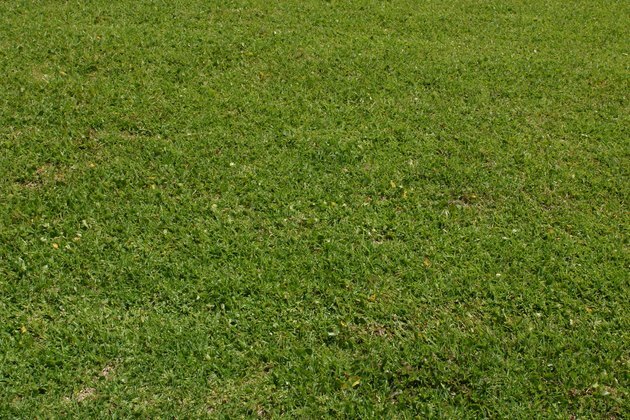 Gardeners should choose the type of lawn grass that grows best in the local climate. The right type of grass, planted in the right conditions, helps gardeners cultivate a healthy lawn, according to the National Gardening Association. Different types of grasses require different temperatures, sunlight exposure and rainfall amounts, according to the University of California Agriculture and Natural Resources. Sacramento has hot summers and moderately cool winters. Turf varieties that can withstand hot summers in Sacramento include Bermudagrass, buffalo grass, zoysiagrass, St. Augustine grass and tall fescue, according to the University of California. Coastal Northern California has cool overall temperatures, according to the Western Regional Climate Center. Inland areas have warm or hot summers and cold winters. Kentucky bluegrass, fine fescues and perennial ryegrass withstand cooler coastal and mountain winter temperatures, according to the National Gardening Association. Bermudagrass and zoysiagrass withstand droughts and high traffic, according to the University of California. Fine fescues withstand shade and hot summers better than Kentucky bluegrass, so they deal better with hot inland summers.